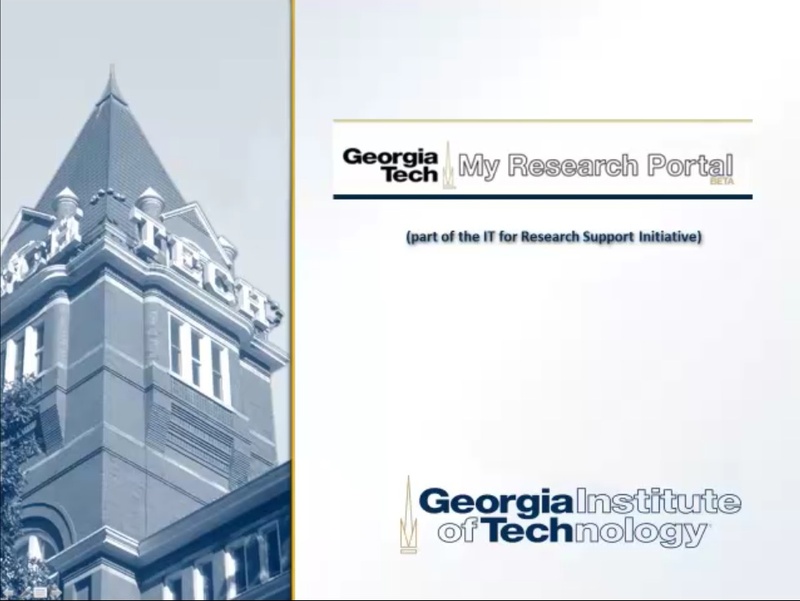 The Research Portal was developed to 1) provide researchers and research administrators with direct access to financial and administrative information related to sponsored awards as well as State and GT Foundation accounts and research integrity information, 2) provide the user with a complete "research portfolio," 3) assist in pulling segregated information into portlets in a clear, concise, and meaningful way, and 4) reduce the administrative burden for faculty. Most of the data in the dashboard updates nightly and includes integrated data from multiple systems including Peoplesoft Financials, SPD, OSP (Oracle) Database, OSP Subagreement System and multiple Research Integrity Systems. This general portlet provides alerts to the user. This is essentially a "To Do" List. The alerts are meant to indicate an action is needed. As actions are taken the system will update in real time. This general portlet provides notifications to the user. This portlet provides the user with a list of FUNDS and their financial details. The default is to the user but options include selecting others to view/manage the information. This portlet provides the user with a list of projects and their financial details. This includes GTF funds and State funds as well as sponsored activities. This portlet provides quick links to reports and applications for a given Fund. Links to the Project Expense & Budget (PEB), OSP Contract Information System, OSP Deliverable System, etc. This portlet provides quick links to reports and applications for a given Project. Links to the Burn Report, Property Report, PEB for Project, etc. The pending proposals is a contractual portlet which provides users investigators a list of pending projects and their current status. The default setting is 30 days but is available to the user to update. The pending deliverables is a contractual portlet which provides users a listing of upcoming deliverables and another tab of late deliverables. The default setting is 30 days. This Salary Planning & Distribution (SPD) portlet displays my effort allocation by project. The default is set to the current Fiscal Year (FY) but allows the user to select three prior fiscal years. Clicking on the pie chart display you can drill down to a personalized employee cost detail report. This Salary Planning & Distribution (SPD) portlet displays all FUND level awards for the user logged into the portal and shows who is working on those projects in the current Fiscal Year (FY) and their percent allocated to this effort. Contractual terms such as Foreign National Restrictions and Responsible Conduct of Research education are displayed. This Salary Planning & Distribution (SPD) portlet displays all PROJECT level awards for the user logged into the portal and shows who is working on those projects in the current Fiscal Year (FY) and their percent allocated to this effort. Contractual terms such as Foreign National Restrictions and Responsible Conduct of Research education are displayed. This portlet lists all of the reports that are available to the user in the Research Portal. The user can choose to select all the links or choose specific links that can be viewed in this portlet. This portlet provides the user with direct links to research-related system log-ins. These range from links to agency specific systems, to tools for proposal submission to the SPD system. The user can choose to select all the links or can choose specific links that can be viewed in this portlet. This research integrity portlet provides a list to the PI, certified research personnel and those give other access to specific protocols information. The approved tab will show all protocols in the approved state but color coding within this data will provide further information as to the impending expiration date (30 days the data will be displayed in RED, 31-60 days the data will be displayed in ORANGE, and 60-90 days the data will be in YELLOW) . The More Options report will allow for the user to see the approved research personnel and the status of their human subject training. This contractual portlet provides a listing of subagreements and has three tabs (1) active, (2) pending and (3) draft (not submitted to OSP). The active tab identifies all subagreements where the status is active and includes a link to INVOICES. Anything within 30 days of the end date will be displayed in RED. 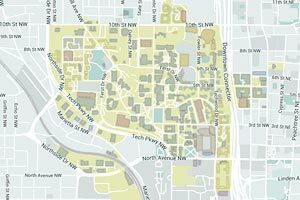 A FAQ for the Research Portal is available. Training videos and PPT slides for the Research Portal may be accessed here. A GT account is required for viewing.